I really don't know why more people haven't thought of this yet. 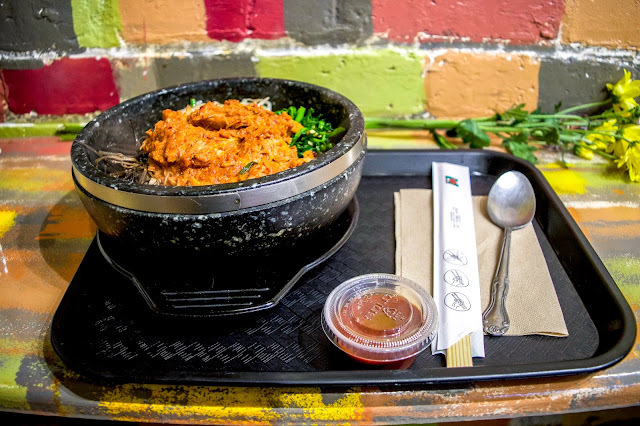 So we've got Chipotle (and Qdoba for Mexican), Shophouse for Vietnamese, Tom Yum District for Thai, Roti for Mediterranean, Merzi for Indian...and Triple B Fresh for build-your-own Korean? If there is a "hot, new" cuisine, then it'd probably be Korean. With the rise of Kogi and other popular Korean BBQ taco trucks, Korean food is finally starting to get more mainstream, but frankly, I don't know how exactly I feel about it. Yes, I love Korean food. 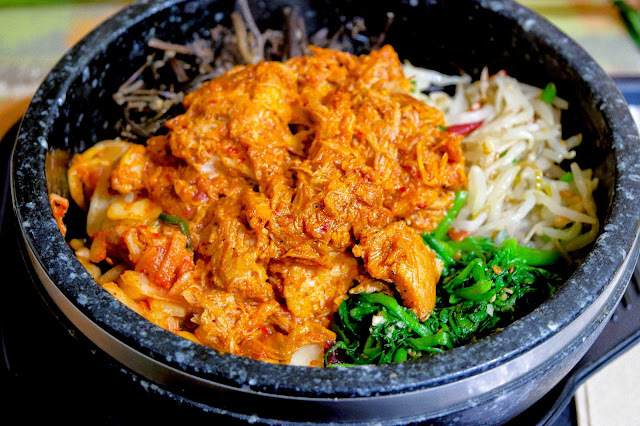 Growing up in what is Atlanta's Ktown, authentic Korean food was always readily accessible, delicious, and cheap and because I've just been so spoiled, I've developed quite high standards (for a non-Korean) when it comes to Korean cuisine. 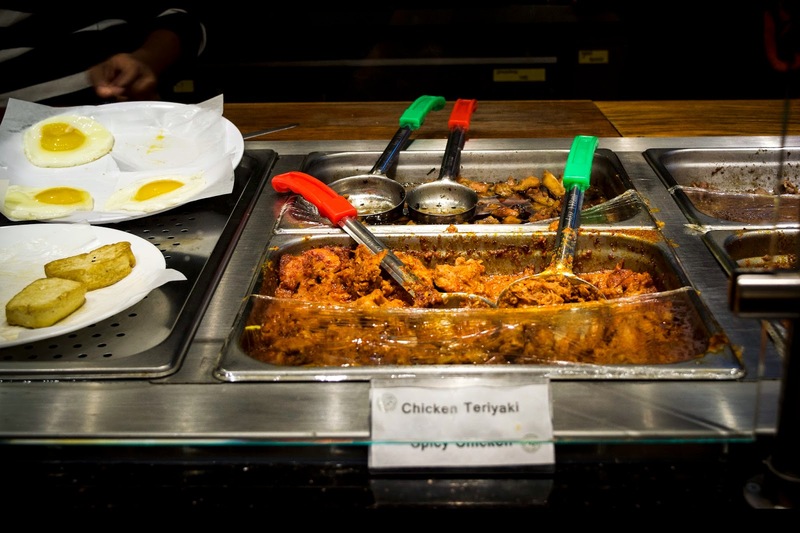 That being said, I typically don't like the Asian-fuison stuff that comes when ethnic food becomes mainstream; it generally - excuse my French - half asses both cuisines that are supposedly combined and consequently the dish just tastes....confused. 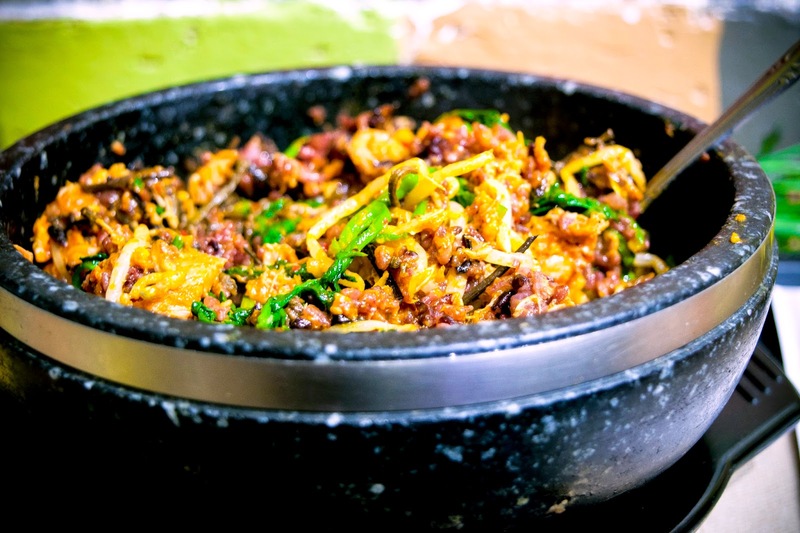 However, bibimbap (mixed rice) is generally a pretty well-accepted dish: you have your rice, your veggies, your protein, and your sauce. Pretty standard and adaptable to everyone, right? And that's exactly what Triple B Fresh offers. 5. 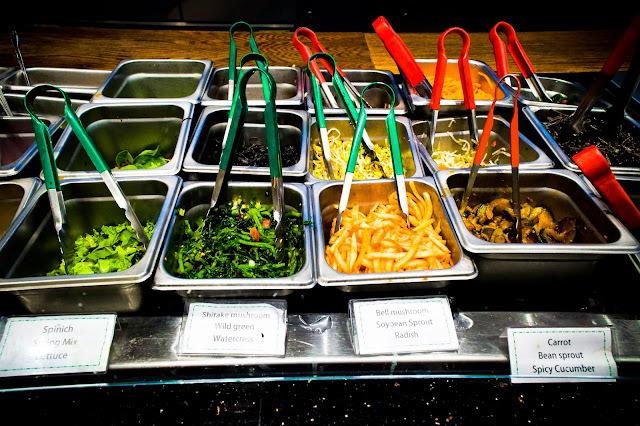 Get either the classic (a mix of seven traditional vegetables + egg) or mix and match four vegetables of your own. 7. Pour on sauce. Mix. Eat. Pre and post mixing #transformationtuesday, anyone? 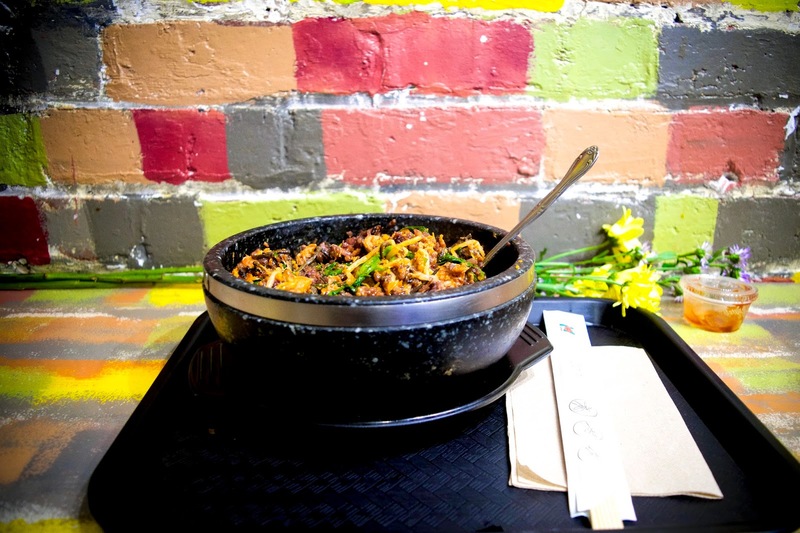 In addition to their most popular bibimbap, Triple B Fresh also offers kimbap (rice + fillings wrapped in seaweed), mind (Korean fried dumplings), tacos, and various types of noodles. 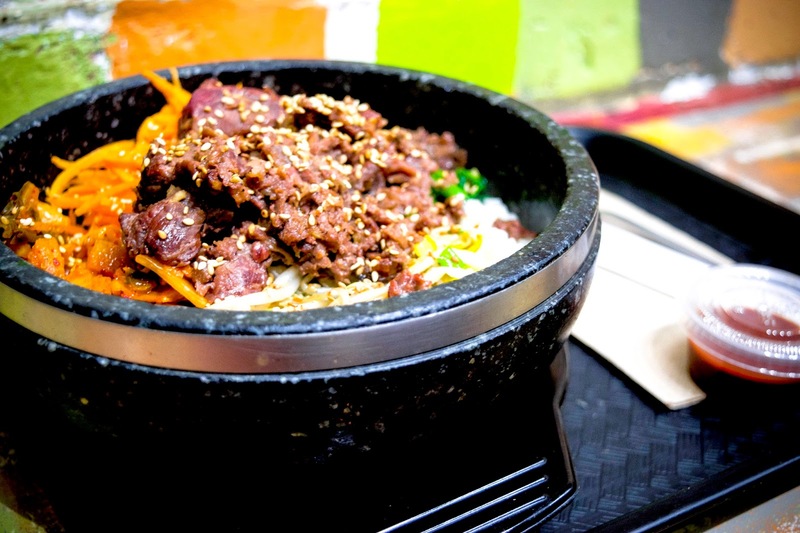 BUTTT, before you try those, get the bibimbap first, just do it. Back to what I mentioned earlier: the hot stone bowl. It's only available for dine-in and is a extra $2 charge, but oh so worth it. 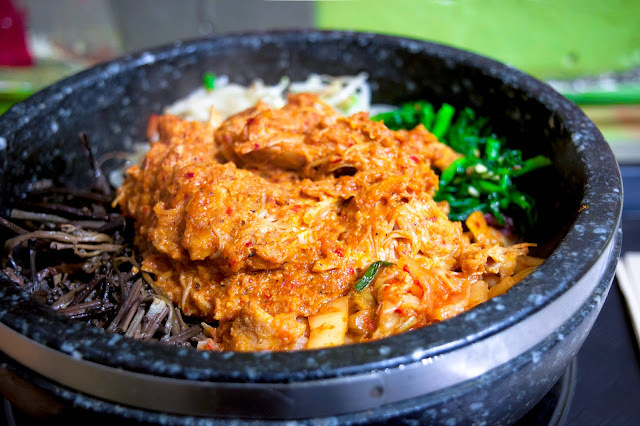 The bowl is brushed with a thin layer of sesame oil and after everything is added to it, heated for a while so that the bottom of the rice forms a nice, crispy crust. When they bring it over to you, RESIST THE URGE TO MIX RIGHT AWAY. Luckily I was busy snapping pictures. You want to maximize rice-crispiness, so let the bowl sit for a few minutes and when the cracking sound dies down, then you can start mixing. My favorite thing about the stone bowl is that it holds heat for an absurdly long period of time, so my food continues to be hot down to the very last bite. So would I go back again? Confession time: this was not my first trip to Triple B Fresh. Nor my second. It's a wonderful place that is introducing authentic-tasting Korean food that is inexpensive and easily accessible to the general DC public. Pricing is comparable to the little ajumma-owned places back home, but we're not getting any banchan here. Nonetheless, it's a bite of home and I'm lovin' it.